" or , or [ or ... or ] or . Sometimes I get multiple entries in cache (however rare thanks to an already great filtering I think) and sometimes get just thumb instead of fanart (I mean for shows or movies of course). Really not a request Marcel, just a suggestion as I'm already more than fine with how it works. Finally would like to make it as a request since I noticed the quote " character seems to break the search. Noticed when clearing cache that all titles containing this returns no picture. Maybe produce something in your code query. When using the colour themes feature I spotted a couple of errors. I created a pull request for adding a new endpoint to get movies/tv shows by a random genre. Please take a look and review. Marcel, The OSD Option is working great, thanks. 19:49:27 T:4344 NOTICE: komt de code hier wel ? (2015-10-29, 13:29)Jayz2K Wrote: [ -> ] Finally would like to make it as a request since I noticed the quote " character seems to break the search. Noticed when clearing cache that all titles containing this returns no picture. The " should now be ignored by the search, please check latest Git. Please test with the current improvements how it works, if it still can be improved I'll look at your request. 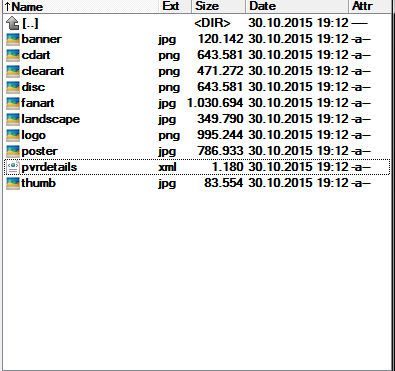 (2015-10-29, 15:04)im85288 Wrote: [ -> ] When using the colour themes feature I spotted a couple of errors. (2015-10-29, 20:58)Angelinas Wrote: [ -> ] Error for PVR Background..
2) Those two methods call exactly the same function so they would produce the same output, maybe clear your cache or some other external cause ? It might be that your pvrdetails cachefile was generated when the fanart.tv service was down a couple of days ago ? 3) What is to improve ? I don't understand what you mean ? To quote a famous advert. I know I added to the noise with last minute requests but as scripts can have weekly pull requests could you get this pulled into the main repo. I'm currently waiting for this to drop so that I can make a skin pull request. Seems that pictures are loading faster and get now them with " . Not the most relevant pictures but It works (maybe just due to the show). 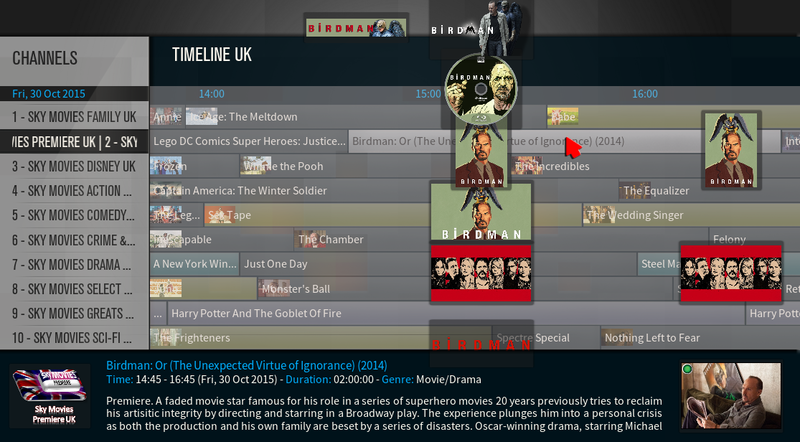 I still have to test some more since I get them the same time epg updates. Thx Marcel. From trying to debug I can see that on home widgets it appears to have first required the info to be cached by browsing the music library. Even with that done the data is not being picked up. ListItem.Album seems to be empty all the time too. Not the same function see picture.. This is clean showing and with clear property images , doesent have ghoust imges from previous epg info..
Yup, Ironing out latest small issues and ready for repo today. I will send the request to the Kodi devs tonight. Music artwork for widgets should now be fixed, please check latest Git. Strange... this is working fine with me. I did all kinds of tests last couple of days and all working fine. Also reported by other skinners that it's working. Try to shutdown Kodi, delete the pvrdetails.xml file and see what happens. It should auto detect the existing artwork in the folder and add it to the xml file. Are you on latest Git ?